The National Identity Management Commission (“NIMC”) recently published five Regulations relating to the national identity management, The already gazetted Regulations which were made pursuant to the National Identity Management Commission Act, 2007 (“NIMC Act”) are as follows: (1) the Mandatory Use of the National Identification Number Regulations, 2017; (2) Nigeria Biometrics Standard Regulations, 2017, (3) Licensing of the Frontend Services of the National Identity Management Commission Regulations, 2017, (4) Access to Register Information in the National Identity Database Regulations, 2017 and (5) Registration of Persons and Contents of National Identity Database Regulations, 2017. The focus of this article however, is on one of these Regulations, that is, the Mandatory Use of the National Identification Number Regulations, 2017 (“the Regulations”) as well as the far-reaching implications and consequences of not having a National Identification Number (“NIN” or “National Identification Number”), on business, professional services, contracts, access to public service and commercial transactions in Nigeria. The transactions that require NIN for their validation and completion will equally be highlighted. Distinction between NIN and the National e-ID Card. Whilst the end product of successful enrolment and registration is the issuance of the National Identity Card now called National e-ID Card (“e-ID Card”), it is important to note that the NIN is not synonymous with the e-ID Card. It is possible to have the NIN without necessarily having the e-ID Card. As a matter of fact, experience has shown that it usually takes years to process and activate the e-ID Card unlike the NIN that can be obtained within weeks after registration. For instance, I registered in 2013 and was given a NIN few weeks after registration but it has been difficult to obtain the e-ID Card for reasons only NIMC can explain. It is therefore important that you take necessary steps to register and obtain your NIN if you have not done that already as the more critical issue is the possession of NIN and not necessarily the e-ID Card. Registration is mandatory for every registrable persons, defined under the NIMC Act to mean any citizen of Nigeria and non-citizens who are lawful resident in Nigeria either permanently or for a period of two years or more. Section 18(1) of the NIMC Act provides that a person who has attained 16 years at the commencement of the Act shall register within sixty days or such longer period as the NIMC may by Order prescribe. Similarly, section 18(2) provides that the duty to register any person under 16 years at the commencement of the Act shall be on any person having charge of any such under aged persons and the registration must be done within 60 days of birth or within such longer period not exceeding 180 days as may be prescribed by the NIMC. After the completion of the enrolment process, a Slip is issued to the applicant containing the NIN. With the NIN Slip which serves as a Temporary means of identification, the registered member can carry out transactions with the NIN while awaiting the issuance of the multi-purpose e-ID Card which as I have noted above could take years before issuance. To further buttress the point that the NIN (and not necessarily the e-ID Card) is all that is required for the purpose of under-listed transactions, the Act defined a "registered individual" to mean any person in respect of which an entry has been made in the Database. Thus, the possession of National Identification Number alone qualifies one as a registered individual even without the possession of the e-ID Card. This explains why registration and obtaining your NIN are even more important than the possession of the e-ID Card. 1. Acquisition and Transfer of Interest in Real and Personal Properties: This covers all transactions involving transfer of titles or interest in land or landed property and includes tenancy agreements. It also covers transactions involving sale, purchase and change of ownership of aircrafts, vessel, motor vehicles, motor cycles, transfer and transmission of shares or equities, and any contract for valuable consideration and for the transfer of any interest whether tangible or intangible, etc. 3. Registration of Business and Non-Business Organizations: This covers registration of companies, sole proprietorships, partnerships and Incorporated Trustees or non-profit organizations as well as post incorporation documentations and filings. 4. Public, Social and Commercial Services: This category covers a wide range of transactions and services cutting across registration of voters, provision of consular services, pension, pilgrimage, tax identification, access to social benefits, purchase of travel tickets for air, rail, road and water transportation, boarding of aircrafts, trains, commercial vehicles, hotel bookings, ships and boats, registration and user of cybercafé services, employment, enrolment and registration for examinations, enrolment and registrations in both public and private educational institutions, registration and membership of professional bodies, registration of telephone SIM Cards and other communication devices, import and export of goods and commodities, licensing and operations of telecommunications, issuance of birth certificates, driver license, operation of bureau de change and transactions involving foreign exchange and application for or bidding for any contracts or services from any government agency or parastatal, etc. 5. Filing Court Processes: NIN is also required for filing of criminal and civil actions in courts and this extends to arbitration processes. Similarly, obtaining and processing of probate documents also require NIN. With the above decision, it will be interesting to know how Nigerian Courts will construe a transaction that fails to comply with the requirement of the Regulations and NIMC Act. What is clear however, is that it is an offence under the Act to carry out such transactions without the NIN. It is also not clear whether the NIN should be indicated in the transactions documents as evidence of compliance with the Regulations. In my view, there should be an indication in the transaction documents that the NIN was presented and verified as that is one sure way to prove compliance with the Regulations and the Act. A duty is imposed on government agencies offering any of the services listed above to insist that any person involved in relevant transactions with them produce his NIN. After producing the NIN, the relevant government agency is expected to verify and authenticate the person or the NIN so provided in the National Identity Database using online verification from NIMC platform, Card Acceptance Device, Card Reading Device or a combination of any of these. Again, this presupposes that the relevant government agencies must have any of these devices in place as the non-availability of these devices will hamper the enforcement of the Regulations. The NIMC Act came into force in 2007 and the timeline for registration and obtaining the NIN is provided in the Act as I have shown above. Though the Act gives the Commission the power to make an Order extending the timeline, I am not aware of any such extension. Assuming there is no Order made by the NIMC extending the sixty days provided in the Act, it means that the timeline provided under the Act stands. It is also not clear when the enforcement of the Regulations will commence given as earlier noted the logistics and devices required to make the enforcement possible. 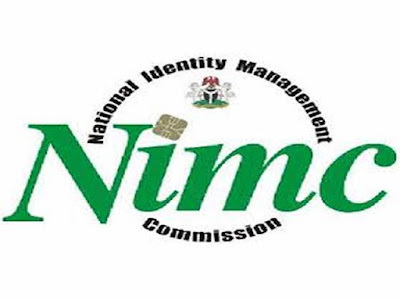 It has been reported that NIMC wants to ensure that the database is populated before commencing enforcement of the mandatory use of the NIN for all identity-based transactions. As at September 2017 it was also reported that NIMC had registered 21,360, 000 Nigerians in the National Identity Database and issued them the National Identification Number. This figure is very low considering the country’s population of above 180 million. The NIMC Act provides for identity-based offences which include but not limited to carrying out transactions without a NIN. Section 28 provides for a fine of not less than N50,000.00 or imprisonment for a term not less than 6 months or to both such fine and imprisonment for any person who carries out or permits to carrying out of any transaction without a NIN. If the offender is a corporate body, it is a fine of not less than N 1,000,000.00 and in addition, the Chief Executive or the line manager or other similar officer of the body corporate, or any other person purporting to act in any such capacity shall be deemed guilty of that offence and shall be liable on conviction to a fine of N1,000,000.00 each. 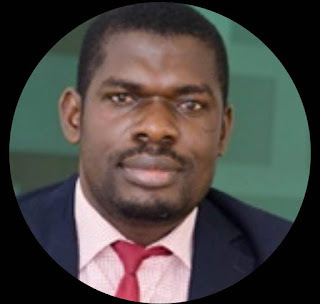 It goes further in Section 30(1)(a) to criminalize failure of any registrable person to register and provides for a fine of not less than N100,000 or imprisonment for term of not less than 6 months or to both such fine and imprisonment. Rule 7 of the Regulations provides that failure to comply with the provisions of these Regulations and other relevant Regulations made pursuant to the Act, shall be punishable by the imposition of administrative fines and sanctions by the Commission, in addition to the penalties provided under the Act. It is safe to state that the administrative fines and sanctions referred to in the Regulations are those fines specifically provided in the NIMC Act and it will be wrong and illegal for the Commission to impose any arbitrary fines or sanctions not specifically provided under the Act or the Regulations.